The Yomiuri Shimbun reported on August 14 that the new surface-to-ship missile will have a range of 300 kilometres, the longest of any missile currently in Japan’s armament. The weapon will be GPS-guided and vehicle-based, making it easy to deploy. Placed on islands in the East China Sea, any Chinese or other vessel approaching the disputed Senkaku (Diaoyu in China) Islands would fall within its range. Later this month, the government intends to request funding for its new missile in the military budget for the 2017–2018 fiscal year. 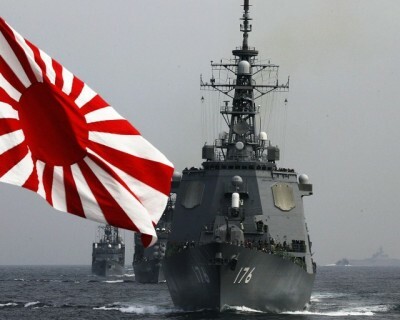 Japan has steadily increased its budget in recent years, including record-high military spending in March of this year. The Defense Ministry also plans to use the development of the new missile to boost the arms industry. In April 2014, Tokyo removed a ban on its arms dealers that had prevented them from exporting weaponry to other countries. In February 2015, the government announced it would provide aid to foreign militaries for the first time. By doing so, the government hopes to expand its military influence, largely at the expense of China. Scheduled to be available in 2023, the missile is expected to be deployed to locations such as Miyako, Yonaguni and Ishigaki Islands in the Okinawa Prefecture, and Amami Island in the Kagoshima Prefecture. In December 2015, Tokyo announced it would deploy additional soldiers and weaponry to Miyako, Ishigaki and Amami by 2019. In March 2016, a Self-Defense Forces (SDF) unit was deployed to Yonaguni Island, along with a new radar installation. The five uninhabited rocks that make up the Senkaku/Diaoyu Islands have become one of the most dangerous flashpoints in Asia over recent years. In 2014, President Barack Obama declared that the islands were covered by the US-Japan security agreement, effectively threatening China with war if it took any action against Japan’s control over them. The US commitment, and the broader US military “pivot” against China, has emboldened the Abe government to take a more aggressive stance in the region. Last month Tokyo stated that it had scrambled jets to intercept incursions into the air space it claims in the East China Sea a record 199 times in the second quarter of this year. In July, Beijing accused two Japanese F-15 fighter jets of “locking on” to Chinese aircraft, a highly provocative move as it leads the targeted pilot to believe he is about to be fired upon. This month, the Japanese Coast Guard deployed armed ships against 200 to 300 Chinese fishing boats, allegedly escorted by Chinese patrol ships, which Tokyo claimed were violating its territorial waters around the Senkaku/Diaoyu Islands. The entire Japanese ruling elite backs these changes to allow Japan to project military power once more. While the opposition Democratic Party poses as an opponent of Abe, it has put forward its own legislation to expand Japan’s overseas military operations, so long as they have the cover of the United Nations. Japanese troops are currently training to be sent to South Sudan in November. While justified as a humanitarian mission, the deployment is, in fact, a test case for overseas operations and is being used to assert Japanese energy interests in the oil-rich country. Abe’s new defense minister, Tomomi Inada, recently returned from Djibouti on the Horn of Africa, the location of Japan’s only overseas base. It was the first destination she visited after her appointment on August 3. While there, she discussed increasing Japan’s role in Africa, an indication of the importance that Tokyo places on the continent and on challenging the influence that China has built up there over the past decade. The reassertion of Japanese imperialism parallels developments in Europe, where the German ruling class is likewise pursuing a program of remilitarization, and elements within the political, media and academic establishment are downplaying or denying the crimes of the Nazi regime. Immediately, the blatant denial of the past crimes of Japanese militarism disrupts the US agenda of forging an anti-China alliance between Japan and South Korea. Korea was one of the main victims of Japanese imperialism in the first decades of the twentieth century. More fundamentally, the agenda of Japanese imperialism in Asia is not identical to that of Washington. After more than two decades of economic stagnation and facing immense internal social antagonisms, the Japan ruling class is again being propelled on the path of militarism and war in a desperate attempt to gain access to markets, resources and sources of profit. Processes are underway that could ultimately bring Tokyo once more into a direct military confrontation with its current US ally.